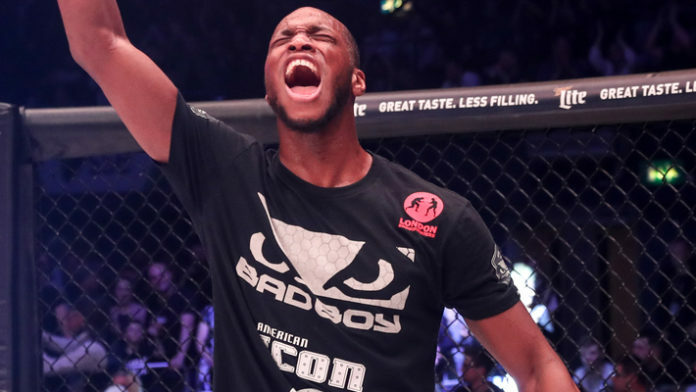 Michael Page has revealed his big advantage heading into the Bellator Welterweight Grand Prix. Page and nine other 170-pounders are set to participate in the upcoming welterweight tournament. The Grand Prix will begin on Sept. 29. On that same card, Quinton Jackson will meet Wanderlei Silva and Gegard Mousasi puts his middleweight title on the line against Rory MacDonald. “Venom” was last seen in action back in May at Bellator 200. Page dominated David Rickels on his way to a second-round TKO victory. Many feel Page will finally be tested in this tournament. Page has a professional mixed martial arts record of 13-0. He’s defeated the likes of Nah-Shon Burrell, Evangelista Santos, Fernando Gonzalez, and Rickels. He’s nabbed six knockouts and three submissions in that span. Do you think Michael Page will win the Bellator Welterweight Grand Prix?